For an entire day, or even just a few hours, stop doing all the things. In other words, take a Sabbath. I’m a pastor, so my Sundays are often filled with preaching and meetings and connecting and running around. Sometimes we need to reimagine Sabbath: if Sunday doesn’t work for you to rest, what other day might? Our oldest son is in kindergarten, so we take Friday afternoon through Saturday afternoon as a family Sabbath. We start it by reading a Psalm together and opening the Sabbath in a short prayer; we end it the same way. We put away our digital devices, closing the portal to the endless Internet. On our Sabbath, there is no work allowed, just “praying and playing,” as Eugene Peterson lovingly describes it. We eat donuts for breakfast, we toss a ball around outside, we putter in the yard or the garden. We nap and read and chat up the neighbors and drink deeply of the goodness of God and the love of one another. Sometimes we have friends or neighbors over for a meal; other times our Sabbaths are more introverted and we take time to ourselves. Since we have young children, my husband and I often take turns giving one another an hour or two completely to ourselves to do anything we want, a huge luxury in this intensive season of kid care. I usually use mine to nap—we have a newborn so I’m tired! For a long time I balked at the idea of a Sabbath. Yet I can say without a shadow of hyperbole that keeping a regular Sabbath has revolutionized our family life, our emotional lives, and my soul. The grace of knowing I can lay down my work for a day, that the world will keep on turning without me, is transformative. God is at work and we are invited to join in that work, but once a week, every week, we are invited to lay down our tools and remember that the work is ultimately not ours to complete. Anything restful, playful, and worshipful can help round out a Sabbath. Worshiping with a congregation, tossing a baseball, baking bread, playing music, writing a letter. One pastor I love wrote that he liked to fix doorknobs on the Sabbath because tinkering brought him joy. The key is to lay aside your traditional work, whether that be digging post holes or stitching wounds or sending emails. I’m a part-time pastor, so much of my week is dedicated to caring for kids, which is some of the hardest work there is. On Sabbath I can’t not care for my kids—they still need food and fresh diapers, and Sabbath is for them, too!—but I can go about it in a different way, inviting pizza delivery instead of another night at the stove, letting the unfolded laundry stay unfolded, sitting on the floor for a marathon Uno game rather than hurrying to the next meeting or activity. Light a candle and offer the day to the One who created you. Go on a long walk. Do nothing for a little while. COURTNEY ELLIS writes and blogs at CourtneyBEllis.com. 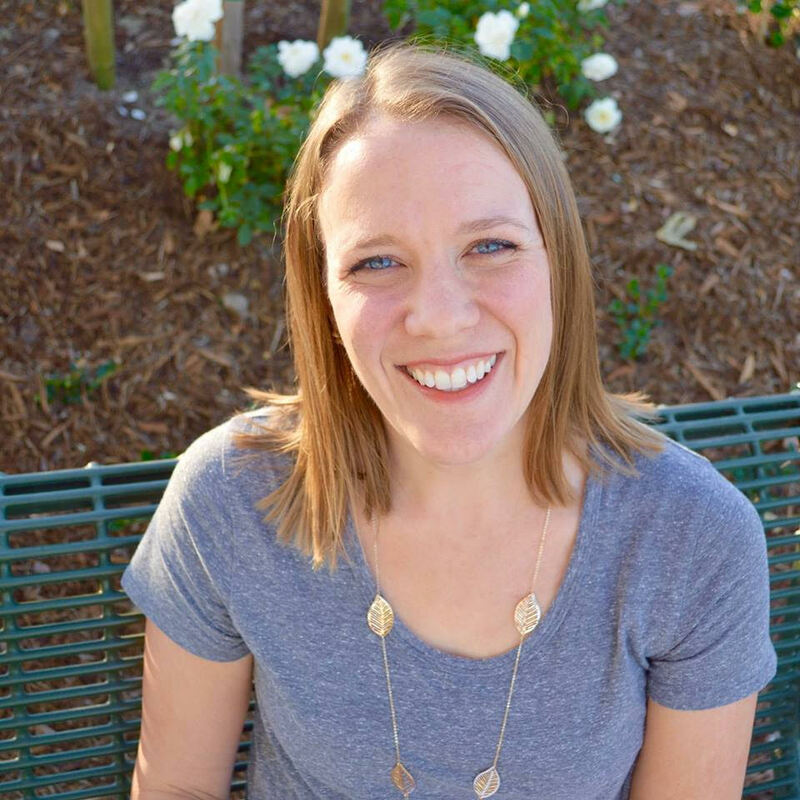 A speaker, pastor, and author of Uncluttered: Free Your Space, Free Your Schedule, Free Your Soul, she lives with her husband and three littles in southern California. You can follow her on Facebook and Twitter. For more practices for rest, check out the winter kit from Field Guides for the Way. 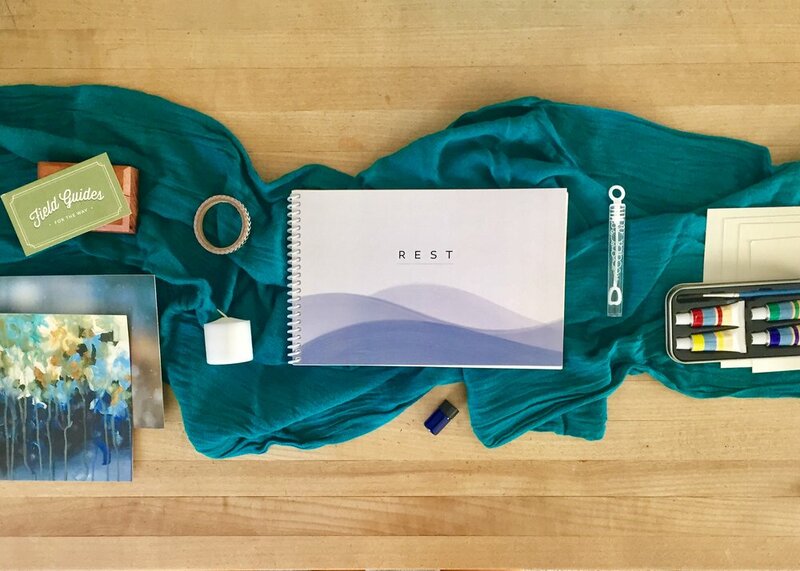 Field Guides for the Way are seasonal spiritual practice kits delivered to your home, co-created by Kristen Leigh Kludt and Stephanie Jenkins. Field Guides offer the intentionality and practice of a contemplative retreat woven into your everyday life. Each beautifully curated kit contains invitations and supplies for a journey deeper into your relationship with God, your own heart, your life.